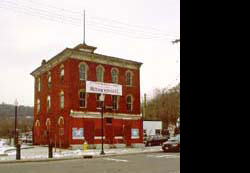 Restoration of 1860’s Italianate building on the Peekskill waterfront to be used as commercial space. 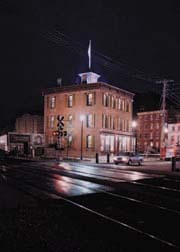 This project received a 2001 Excellence in Historic Preservation Award from the Preservation League of New York State. The photograph on the left shows the Democratic Presidential Candidate William J. Bryon speaking in front of the Standard House (1908).